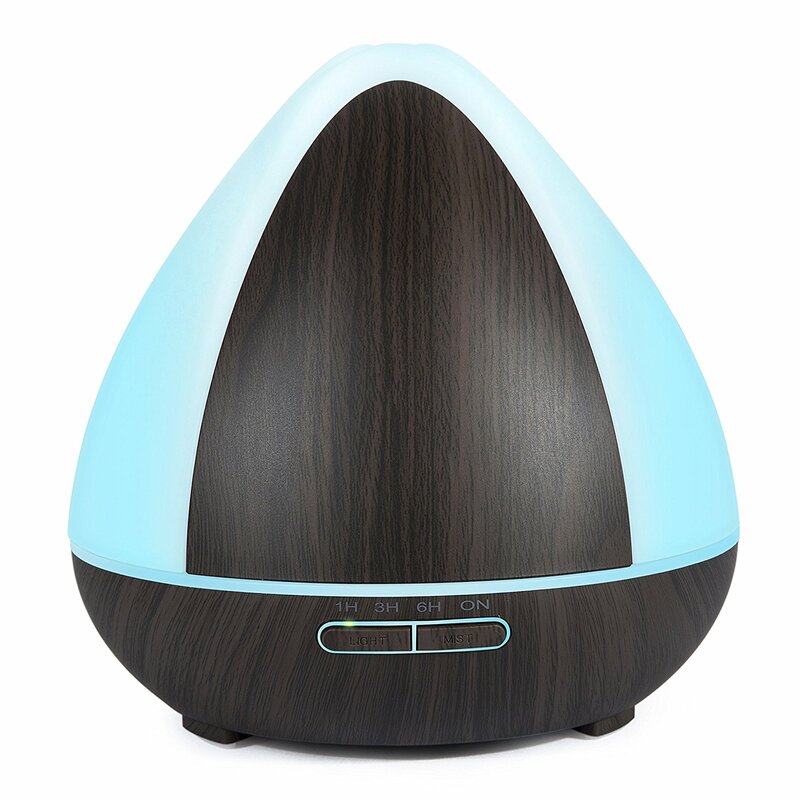 Product categories of Electric Aroma Diffuser, we are specialized manufacturers from China, Electric Aroma Diffuser, Electric Fragrance Diffuser suppliers/factory, wholesale high-quality products of Cheap Essential Oil Diffuser R & D and manufacturing, we have the perfect after-sales service and technical support. Look forward to your cooperation! Timer Setting & Automatic Power Off Safety System: Run time setting function (1 hour/3 hours/6 hours/keep working until water running off). The Humidifier will shut off automatically when water running off. Rainbow of lights: 7 soft color change as you like. Press the [Light" button to turn on the LED light, the color will change automatically. Press the [Light" button again to freeze the color you want. Press the [Light" button again to change another color, 7 color is available. Safe PP Build & Large capacity: Anti-corrosion PP material for healthy use; 300ml Water tank ensures a long running time. Advanced Whisper-Quiet Technology: Adopted ultrasonic technology, working noise under 36dB to create a comfortable environment. Perfect for home such as living room, bedroom and office, hotel as well as yoga and Spa. What's in the Box: 1x 300ML Humidifier; 1x Measuring Cup; 1x US Adapter; 1x User Manual.